You are here: Home / News / News / Haslemere Pharmacy Gets the Gift of Space this Christmas! The pharmacy at Haslemere Health Centre has just benefited from an internal refit to provide for additional storage space and to increase the size of the pharmacy consulting room. Since opening in January 2013 the pharmacy has quickly become the pharmacy of choice for local patients due to the integration with the health centre and the high levels of customer service that the pharmacy team provide. 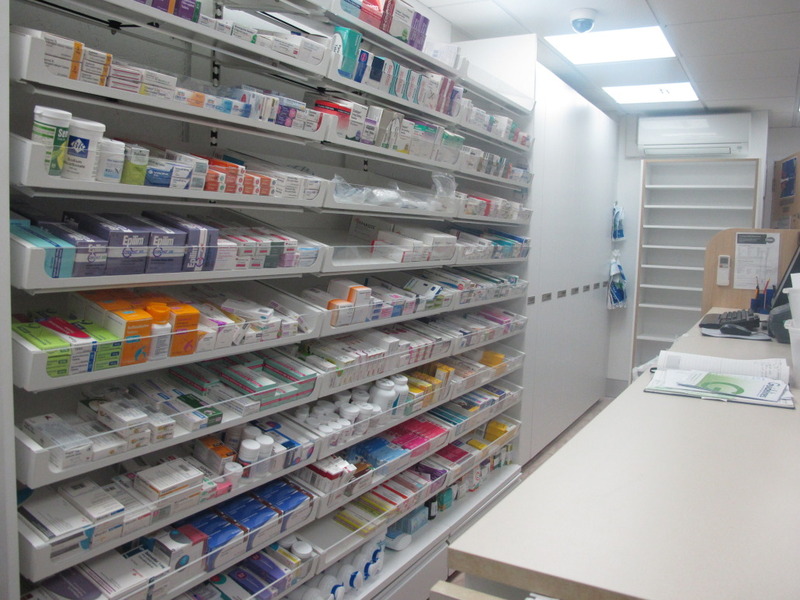 With the high level of demand for their services the pharmacy had begun to struggle for space and APM Healthcare Developments were instructed to look at options to develop additional prescription storage space in the pharmacy as well as enhance the consulting room to allow for a wider range of additional services to be provided. APM Healthcare worked with the pharmacy and surgery teams to identify a suitable solution which involved extending the back of the pharmacy into part of the surgery administration area. This also involved the reconfiguration of the existing administration area of the surgery. The APM Healthcare Developments team had to work through several nights to complete the works as both the pharmacy and surgery needed to remain open to serve patients and customers. http://www.apmhealthcare.co.uk/wp-content/uploads/2014/12/Haslmere-Pharmacy-New-Storage-Area.jpg 2736 3648 Andrew Murray http://www.apmhealthcare.co.uk/wp-content/uploads/2013/04/apm-healthcare-logo-no-strapline-300x71.png Andrew Murray2014-12-16 17:31:272015-12-03 15:26:34Haslemere Pharmacy Gets the Gift of Space this Christmas!